Just to be clear, I don't condone gladiatorial fights (involving anyone) as a form of social control. That said, I believe the child gladiatorial fights in Suzanne Collins's The Hunger Games trilogy have several poorly and lazily designed elements that make the games both feel less fair to the competitors, and less fun to watch as a spectator sport. If you haven't read the books or watched the movie, here's a brief exposition. The story takes place in a dystopian future America called Panem. Panem is split into 12 poverty-stricken districts, which are enslaved by an extravagantly rich capitol. In order to keep the districts from revolting and keep their spirits broken, every year the Capitol takes two teenagers from each district and makes all twenty four "tributes" fight to the death in a televised gladiatorial fight/survivalist match called the Hunger Games. Only one child can survive. These games are primarily a spectator sport intended to control the districts, and obviously are not meant to be fun for the tributes. However, good game design makes for better viewing. A well designed game isn't always fun to watch, but it's always better than if the game were poorly designed. For example, the three best designed elements of the Hunger Games are also probably the coolest to be a spectator for. First is the Cornucopia: a giant pile of survival tools, food, and weapons that all the tributes begin the gladiatorial fight beside. Each tribute is presented with a choice: dive into the extremely dangerous fray (around half of the tributes die in this initial fight) for a chance to get things that will help them survive in the long term, or run away and protect themselves in the short term. This is invariably a very interesting element of the fights to observe, as afterwards the tributes spend most of their time hunting, gathering, and surviving the elements. The second well designed and fun-to-watch mechanic of the matches is the "feast." 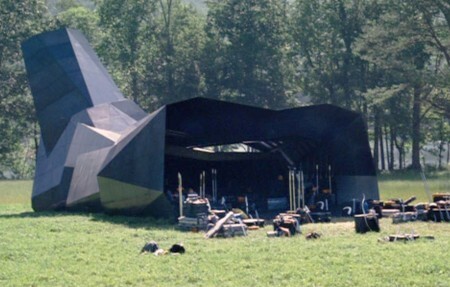 Frequently, in order to get the tributes back together and fighting, the game makers replicate the Cornucopia's splendor later in the games in the form of a large feast containing food and other resources that the tributes need. Again, this serves the purpose of creating action, and is engaging to see. Finally, the game is designed to allow easy formation of allies among the most competent tributes (who usually hail from the richest districts). This itself is fascinating (to view) as it forms a social game within the gladiatorial fights, since there will undoubtedly be backstabbing in the end. As well as being engaging for spectators, these three elements of the Hunger Games would also be fun to play--if the tributes' lives didn't depend on them--because they offer interesting and meaningful decisions. In contrast to these well designed elements that are interesting to watch and could be fun to play, there are two major problems with the Hunger Games' designs, which feel either nonsensical or unfair to the tributes, and make the games less fun to watch. Survival of the elements is a core part of the Games. The arenas are large open spaces that change each year, but are invariably dangerous and littered with traps. It makes complete sense, then, that the tributes who are able often realize the best strategy is simply to hole up and survive while letting the other kids weaken each other, like a turtle withdrawing into its shell. Unfortunately, Capitol citizens eventually get bored with watching teenagers huddle in caves for warmth and snare rabbits for food, and the game makers are forced to employ various tactics to drive tributes together to cause action. This makes sense from a game design perspective as well: games that highlight relative inaction as an optimal strategy are not very fun to play. Generally, the game makers use clever tactics, such as feasts, worsening weather, and scarcity of resources. These ideas work well since they affect all tributes equally, and still offer the choice of allowing them to stay hidden (although this strategy becomes less and less viable). Occasionally, however, the game makers use devices that feel unfair and arbitrary -- and are not fun to watch. A prime example of this occurs in the trilogy's first book. 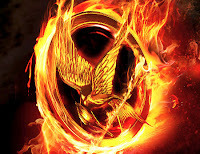 The protagonist is skilled at wilderness survival; as such, she attempts to get as close to the edge of the arena as she can, and then to "turtle" while the other tributes weaken each other. In order to prevent her from doing this, the game makers decide to use their omnipotent technology to shoot fireballs at her to force her to run towards the center. This tactic feels arbitrary and fabricated, since none of the other tributes undergo anything similar: it's targeted towards the protagonist, and unlike environmental hazards, this hazard couldn't have affected anyone else. Imagine if in Monopoly there was a player without a piece who could remove and add houses and hotels to other players' properties whenever he felt like it. If one player rolled a 6 and was about to land on another player's property and owe her $20, the new player playing god could add a hotel to that property and suddenly the $20 owed turns into $200 owed. This version of Monopoly wouldn't be fun to play, as winning and losing now would depend on the arbitrary whim of a non-player. It also almost certainly wouldn't be fun to watch, because rooting for one player is almost meaningless. Just as in this Monopoly modification, the arbitrary one-sided attacks on individual tributes in the Hunger Games make the games feel chance-driven and unfair to both players and spectators. I propose an extremely simple solution to the problem of passive tributes in the Hunger Games, one that would circumvent the need for unpredictable gamer maker intervention. All arenas should be made circular, and each day at midnight the arena should shrink a set distance inward. This solution has several benefits. First, it's fair to all combatants, since they know they will never be able to stay put and must be away from the arena's edge come nightfall. Second, it paces the Games so that there's plenty of time for the tributes to fall prey to arenas' dangers, while ensuring a thrilling final showdown with the best fighters trapped in a small area with each other. Third, it gives the games a predictable end. Finally, this solution has the added bonus of allowing variability in how the arena shrinks. Perhaps sometimes the eliminated outside ring is lit on fire, giving disoriented tributes a chance to escape. Other times it might vaporize everything in its path, or simply push everything (and everyone) on the periphery towards the center physically. Having the Hunger Games always fought in an ever shrinking arena will ensure thrilling pacing and conclusions for the spectators, while decreasing unfairness for the tributes. Sponsors and "Positive Feedback Loops"
While designing games at Tiltfactor I am constantly on the lookout for "positive feedback loops." These loops occur when a player is rewarded for doing well in a game, in a way that then allows that player to do even better. For example, if a player is given money for killing an opponent in a shooting game, and is then allowed to buy better guns with that money, that player will use those better guns to kill more opponents and get more money. It's a slippery slope: once a player starts winning, he/she becomes more and more likely to win. Positive feedback loops are bad for several reasons. First, they make chance play more of a role in the game, because (in our example) a lucky kill early on can ensure that a weak player wins with no reliance on her skill level or planning. Second, it makes comebacks more difficult. Comebacks make games more fun to play because nobody wants a game in which the winner is decided early and other players have no chance. They are also better for spectators: rooting for the underdogs is fun, and it's suspenseful and gratifying when an underdog wins. During the Hunger Games, Capitol and district citizens are allowed to pay money to send tributes gifts. These gifts are extremely expensive, and become even more so later in the Games. This system is valuable because it encourages tributes to be likeable (likeable tributes receive more gifts), as likeability is a quality generally lacking in teenagers sentenced to death. But sponsorship also has unintended consequences: often sponsors send gifts to tributes because they have bet large sums of money on that tribute winning the Games, and bettors usually choose the most competent tributes to bet on. This is clearly the definition of a positive feedback loop, as the most competent tributes get the most gifts, and that makes them more likely to win. As they kill other tributes, they become even more likely to win and receive even more gifts. This makes the Games less fun to watch, because the expected victor is usually the actual victor. It also makes them worse to play, since right from the start the odds are stacked against less competent tributes and they really have no chance. To fix a positive feedback loop, the loop itself can just be removed. Ideally, however, a positive feedback loop would be replaced with a negative feedback loop, which actually makes it harder for whoever is currently winning to win, thus enabling comebacks. The ideal solution to sponsorship in the Hunger Games is to make costs of gifts proportional to each tribute's betting odds. A tribute who is perceived to be less competent will have lower odds, and so it would be cheaper to send him the gifts he needs to keep up with the better trained tributes. On the flip side, it will be much more expensive to send tributes with higher odds gifts that would put them head and shoulders above the competition. As tributes prove themselves in the arena their odds will go up and weaker tributes' odds will go down, making it cheaper to keep them in the Games. As part of the fiction of The Hunger Games universe, the Games themselves function as they should. The design flaws actually send messages that the totalitarian Capitol would want to send. Their arbitrary power in the arena sends the message to oppressed viewers: "You, much like the tributes, live and die at the whims of the Capitol." The positive feedback loop in the sponsorship process sends the message: "The mighty tributes (who are usually rich like the Capitol) will always triumph over the weak tributes (who are impoverished like the districts)." That said, fixing the gamer makers' inconsistent use of their power and replacing the positive feedback loop resulting from the sponsorship system would result in Hunger Games that are more fun to watch and less horrific to play. Your mention of the shrinking arena option reminds me of Save Doctor Lucky (The prequel to the similarly awesome Kill Doctor Lucky http://www.boardgamegeek.com/boardgame/1157/save-doctor-lucky). I don't know if I should recruit you to be my next gamemaker after I kill this fool Seneca Crane or threaten everyone you know. Or maybe both. Anyways, next year's Hunger Games are sure to be interesting. When I first played Forbidden Island I was convinced that the island would flood from the outside in, like Nick describes in Save Doctor Lucky. Instead (and fairly unintuitively) parts of the island flood and sink randomly. And I would be honored to be your next gamemaker. Threatening not necessary.